MakeMyTrip, India's oldest travel website operator, has agreed to buy out rival ibibo Group to create the biggest player in the fast-growing flight, hotel and bus bookings market in the country. South Africa-based Naspers Ltd is the majority owner of ibibo, with a 91 percent stake, with the rest being owned by China's Tencent Holdings. The details of the deal: The all-stock deal values the combined company at $1.5 billion, according to a source familiar with the deal. The deal will add popular online ticketing websites such as, goibibo.com and redbus.com, to MakeMyTrip's portfolio, which owns the flagship brand and the alternate accommodation site Rightstay. Analysts see the value of the deal at $720 million. Nasdaq-listed MakeMyTrip had a market capitalisation of about $861.3 million as of Monday's close. The shares on rose as much as 56.4 percent to $31.90 on Tuesday, hitting a more than two-year high. Once the deal closes in December 2016, Naspers and Tencent will own 40 percent of MakeMyTrip. Additionally, China's biggest online travel service provider Ctrip.com International Ltd will have about 10 percent stake in the new company. 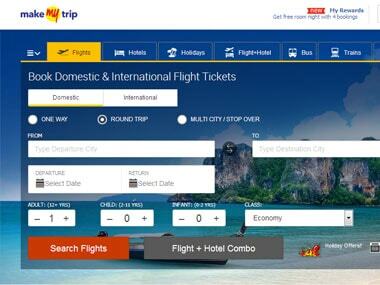 Ctrip.com said in January that it would invest $180 mln in MakeMyTrip via convertible bonds. Combined synergies: MakeMyTrip said on Tuesday that the ibibo deal would help "unlock meaningful synergies". “Today’s announcement is a significant step forward for the rapidly growing travel industry in India... There are three well established brands, each a leader in their space that we value. These include MakeMyTrip, GoIbibo and RedBus and on the internet it is very important that you keep brands that add value and grow them and we are quite clear we would want to play to the advantage of each of these brands. If you look around the world, you will see keeping established brands have helped," said Makemytrip Group CEO Deep Kalra said in a statement. Contours of the merged entity: According to Medianama, the combined entity (with MakeMyTrip, goibibo, redBus, Ryde and Rightstay under its umbrella) would have made 34.1 million total transactions in 2015-16, 9.7 million air transactions, 6.6 million hotel transactions and 17.5 million bus transactions. Of the transactions, 45 percent are on mobile, said the report. The combined company will command a market share of about 20 percent of the Indian online flight bookings, MakeMyTrip said on a call with analysts on Tuesday. The combined company's market share in online hotel and bus bookings will be in single digits, the companies added. Reuters report citing an analyst said the online travel market in India is estimated to be about $10 billion in terms of gross booking value. MakeMyTrip has been facing increased competition in its hotels booking business from established Indian companies such as Cox & Kings Ltd, Thomas Cook (India) Ltd and new entrant such as OYO Rooms. It has missed profit estimates for the last seven quarters partly due to higher marketing costs, says a report in Reuters. The report estimates the company to register a loss of 63 cents and revenue of $50 million in the second quarter. The deal could help the company bring down the costs. 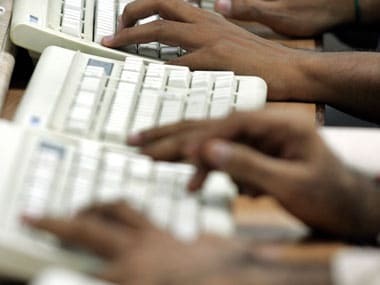 "This could give a clear strategic advantage to the combined entity on multiple counts – category level dominance which could lead to better bargaining power, back end integration helping in reducing overall costs and enhancing the scale of operations," Sreedhar Prasad, partner, e-commerce, research and consultancy firm KPMG, has been quoted as saying in a report in moneycontrol.com. Aloke Bajpai, CEO & co-founder, ixigo, says it is a win-win situation for all the four comapnies – MakeMyTrip, Naspers, Tencent and ibibo. "Investors don’t have to burn money or invest more in the separate entities, ibibo’s penetration in budget hotels and Redbus etc can be leveraged by MakeMyTrip. One can expect profitability with the acquisition in a year or two," he said. What it means for the sector: This signals consolidation in the sector and this is good for the companies as it will bring down the desperate discount battles for market share. "The last 12 months had seen heavy discounting on the hotels segment as competition between these two OTAs had intensified. So, we expect less discounting and more sanity to prevail in hotel pricing and hence margin improvement for all travel players," said Bajpai of ixigo. He also expects the deal to cause rationalisation in marketing spends and hence a lower cost of customer acquisition for other online travel players. How will it impact customers: According to Bajpai, customers and suppliers will benefit from more integrated product offerings, but at the same concentration of market share may impact pricing negatively for both suppliers and customers. "The customers may feel the pinch as the discounts may lessen though they may not be done away with completely. Suppliers may be affected as commissions would become higher," he said, adding the narrative in the online travel space will change from discounting to innovation in 2017. Sidharth Gupta, co-founder, Treebo Group of Hotels, concurs and says, this consolidation will bring higher efficiency to the overall travel ecosystem including the suppliers and customers on these platforms. All in all while the companies may witness better profitability, customers may see discount offers declining in the sector.